The Z wrote: I second this. The new theme gives you less instant information with a single view, than the older one gave you. Can you make icons of topics with new posts more different in colors? 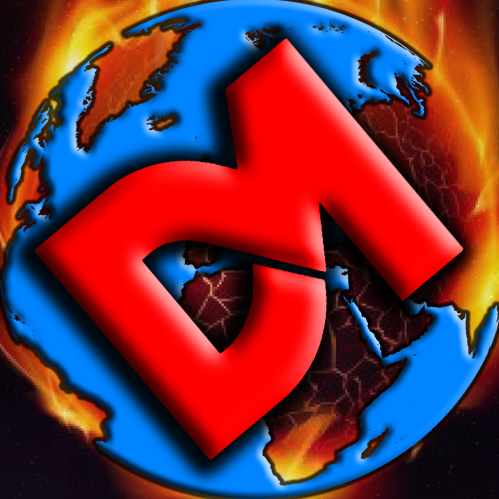 Or even different icon. Currently it's barely noticeable. Honestly I don't mind the new theme as much except for the fact that it's too white/bright and it would be nice if it would be modified to be more grey or darker as well as being able to see less information at a first glance. 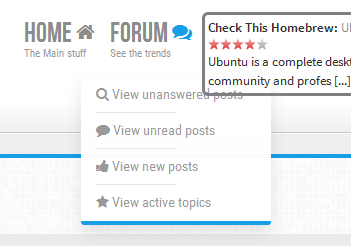 Just hover over the word bubble next to the word "FORUM" at the top of the page for a dropdown menu with several options including that. I do not see that forum bubble on Mobile??? "View your posts" is NOT in that Dropbox. Ik where to find it though. I've done a few changes, keep in mind that my css skills are limited. - The font color of posts has been turned to full black. It was a dark grey and that made it difficult to read. I hope this will address some complaints that the theme is too "white"
Last but not least, due to popular demand, the old theme is back as an option in your user preferences. I cannot stress enough that keeping the old theme is not a right, I might decide to remove it one day if it becomes a maintenance problem. I do not plan to fix any issue with the old theme. wololo wrote: Last but not least, due to popular demand, the old theme is back as an option in your user preferences. Is this option still not in effect? I can't find it anywhere in the preferences. There was a bug it seems. Can you check again? It should be in "account settings > board preferences"
wololo wrote: There was a bug it seems. Can you check again? Alright, thanks, it's showing now, good to have the good old theme back (breath of fresh air on my eyes). Could you remove this anoyong Old theme info? If I didn't want to I would not change. Rauliki wrote: Could you remove this anoyong Old theme info? What are your problems with the new theme? I have addressed most of the issues mentioned in this thread, so I need details on why people still want to switch.